PEBBLE BEACH, Calif. (Sept. 19, 2018) – A couple of senior stalwarts are atop the leaderboard after the first round of the NCGA Senior at Poppy Hills Golf Course. Rounds of even-par 71 left Morro Bay resident Robert Funk and record five-time NCGA Senior Player of the Year Jim Knoll tied for the lead. Funk, who made the cut at this year’s U.S. Senior Open, had a wild day, posting five birdies but also five bogeys. Knoll, who now often competes as a super senior, posted a pair of birdies to go against two bogeys. A foursome of players are on the leaders’ heels at 2-over 73. That group includes Steve Donnelly, David Ujihara, Bruce Hanavan and Ken Gosselin. 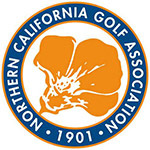 Donnelly, who plays out of Bayonet/Black Horse GC in Seaside, Calif., won the NCGA Senior Four-Ball title earlier this year with partner James Camaione. Another five players, including recent NCGA Super Senior Amateur Match Play champ Ron Johnson and defending NCGA Super Senior Player of the Year Gary Vanier, are just three shots back in a tie for seventh after rounds of 74. Randy Haag, who will be inducted into the NCGA Hall of Fame next week and is the defending NCGA Senior Player of the Year, opened with a 75. Haag entered the 500-point event trailing Senior Player of the Year leader Jeff Wilson by 442 points in this year’s standings. Earlier this week, Haag combined with partner Jason Anthony to qualify for next spring's U.S. Amateur Four-Ball at Bandon Dunes. Defending champion Tony Padilla is not in the field.